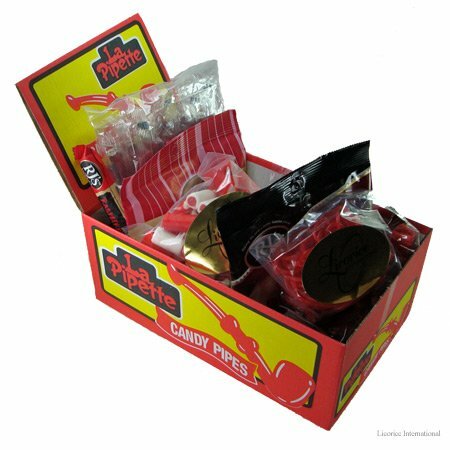 12 Types of red "licorice" candy from 8 different countries packaged in a pipe box with a bow. Product weighs approximately 4 lbs. without the pipe box. see individual products for ingredients and nutritional facts.